Working Nine-to-Five? Not so Popular Anymore! The standard nine-to-five office work day may not be so standard anymore. According to the Flexible Working Survey recently released by global workspace and business service provider International Workplace Group (IWG), 70% of employees work remotely each week. Of that 70%, 53% do so for at least one to three days each week, and the remaining 17% work outside of their company’s main office for 4 to 5 days out of the week. The study, which was based on the responses of 18,000 full-time business professionals (not contractors or freelancers) across 96 international companies, highlights the growing popularity of telecommuting among global businesses. The ability to work from nearly anywhere thanks to advances in communication technology has led to changing outlooks regarding where and when people should complete their work. The study also found that workers have a variety of preferences when it comes to their ideal remote workspace. 51% of professionals typically work from their own home, 27% usually spend their remote working time in a co-working space or business lounge, and 20% can often be found in coffee shops. The development of this mobile workforce trend has been ignited not only by technological advances, but also the globalization of business as well as changes in employee demands. However, the benefits of more flexible working options are of interest to more than just the workers. One of the most attractive benefits of working remotely is that it often allows the worker to have a more flexible schedule. For example, a remote worker may wake up early and get most of their work done before traditional work hours have even begun, or they may spend their mornings more casually, and work later into the evening to get their work done. Many workers also agree that working remotely allows them to be more productive than they would be in the traditional office setting; avoiding common pitfalls such as coworkers interrupting them to ask questions or idle chatting in the hallways. 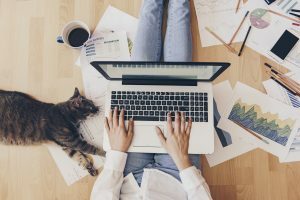 Employers who have opened up the option of remote working for their employees have seen some positive benefits as well. Increased employee morale and engagement, better quality work, more efficient communication among employees and most notably, reduced overhead costs. Employers can save money by not needing as much office space and not having to offer as many “perks” like coffee, beverages and other goodies for in-office employees. Remote working has also allowed some businesses to find growth in a way that previously unreachable. Of the businesses surveyed by IWG, 89% said that they believe flexible working helps their business grow (compared to 68% in 2016) and 87% believe flexible working helps their business stay competitive in their industry. Employing remote team members also allows employers to recruit and retain top talent from a larger talent pool nationwide or even worldwide, rather than being limited to the geographic location of their corporate offices. 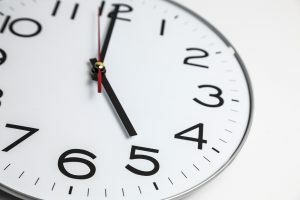 With the advancement of HR Outsourcing technologies, even small employers can easily manage their remote employees and ensure they are staying in compliance with all regulations, no matter where workers are located, allowing them access to the benefits of opening up their organization to a more flexible work environment.